Do you like to snack at night? I do sometimes especially when it’s a movie night or family fun night. But I always want to stay away from really junky foods at night. One of my favorite things to eat for a snack is a good delicious bowl of cereal. Last week I was heading up to visit my family for a few days so I decided we needed to have a #goodnightsnack with Kellogg’s. My sister and I drove up to my parents house to stay for about five days. Since my sister is a teacher and has the summers off we decided to make a trip up to see everyone. My brother is home for the summer doing an internship and my little sister still lives at home so we were all at home at once. That doesn’t happen a lot so it was fun to be able to spend time with my parents and siblings. We decided to have a movie night and enjoy a delicious snack of Kellogg’s cereal. Before the trip I headed to Wal Mart to pick up some Kellogg’s cereal. 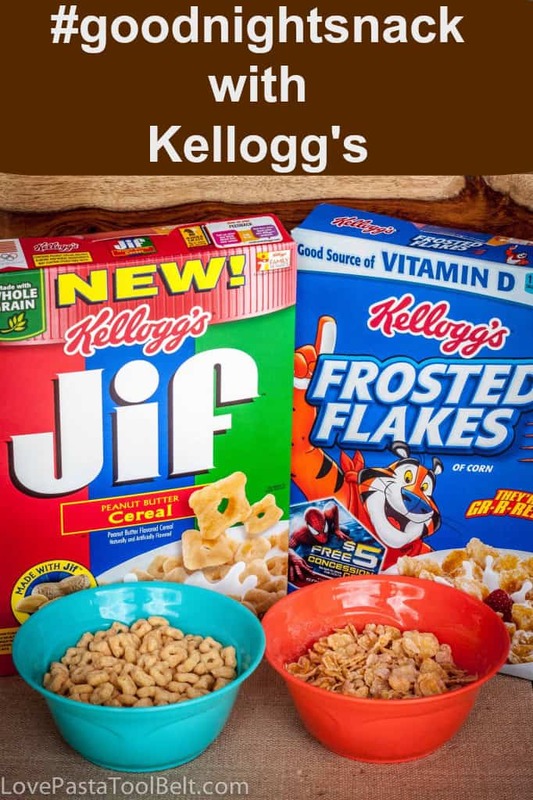 I picked one of my favorites, Frosted Flakes and also decided to try out the new Kellogg’s Jif Peanut Butter Cereal. 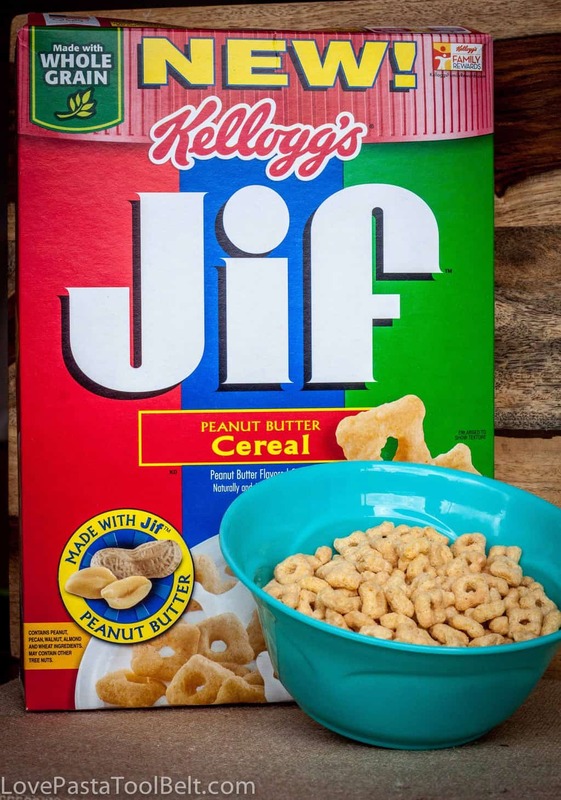 Tyler tried out the Jif Peanut Butter Cereal and absolutely loved it. I did too, so delicious. Kellogg’s also has another new cereal Kellogg’s Rice Krispies Multigrain Shapes. We didn’t get to try this one out but next time I’m definitely picking up a box. 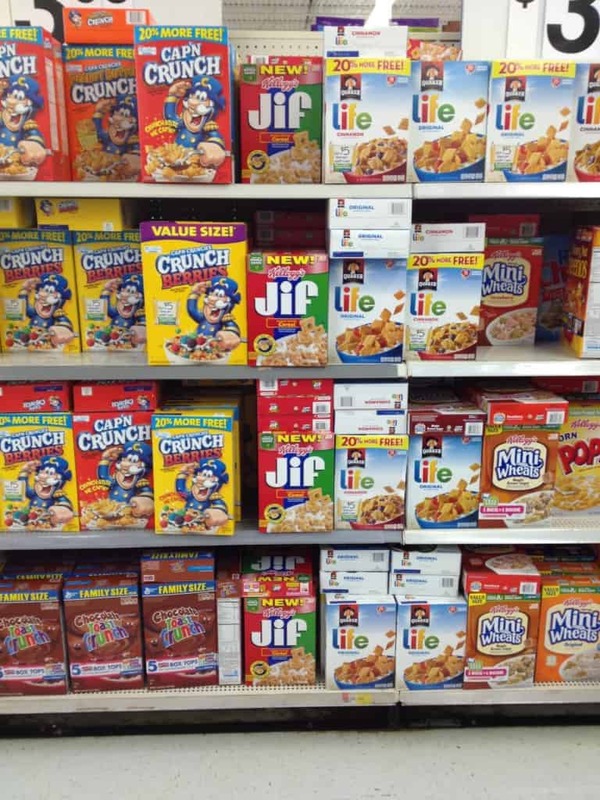 We loved having family movie night with our Kellogg’s cereal as a perfect nighttime snack. We even had a thunderstorm come through which made the cozy family night in all the more fun! Our family movie nights generally consist of spending most of the day trying to decide which movie to watch. Once we finally decide we all gather in the family room and my dad usually makes a huge pallet. Pallet is apparently not a common term to everyone so a pallet is when we stack a ton of blankets on top of each other so we have a comfortable place to lay down during the movie. We bring down tons of pillows and all claim our spots and get the movie started. 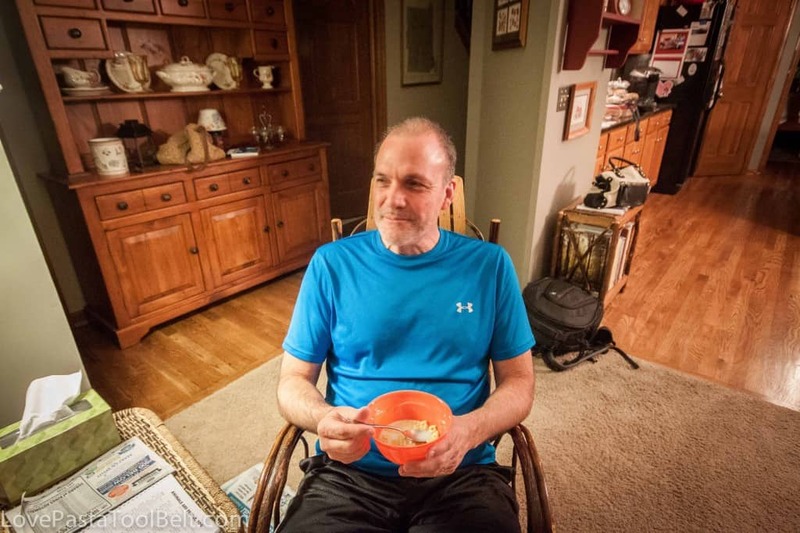 I loved being able to go and visit my family for a few days and enjoy a #goodnightsnack with them. Everyone loved the Kellogg’s cereal and we had a fun family movie night! 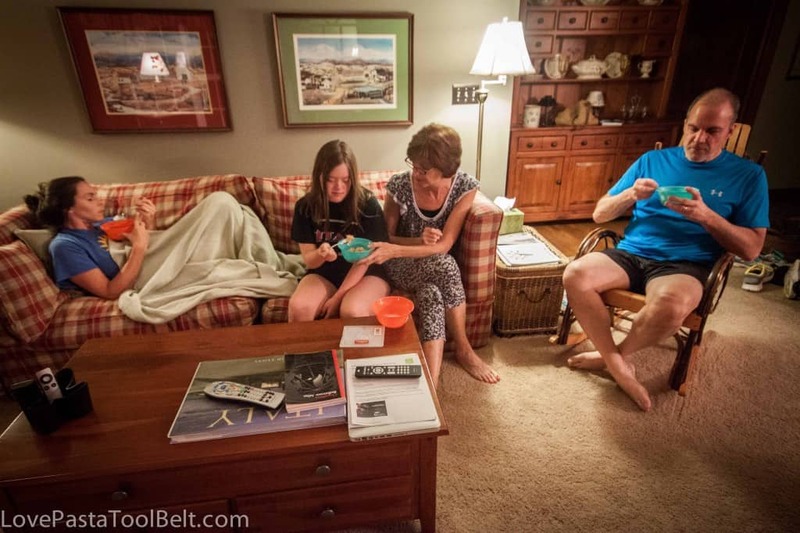 Does your family have any family night traditions? It’s so good at night time for a snack! I love having cereal before bed, I did this all the time when I was pregnant. Literally all 5 kids it was my to go to! It’s a great go to! Not really any traditions, just a lot of routine to get everyone in the bed! Oh my Peanut Butter cereal? That seems so rich. I do love my cereal and would try it if it was in front of me. It wasn’t too rich. It was really good! Cereal is one of my favorite bedtime snacks! I have to be careful though, I can do some serious damage on a bowl of Frosted Flakes!! I love Frosted Flakes so much! 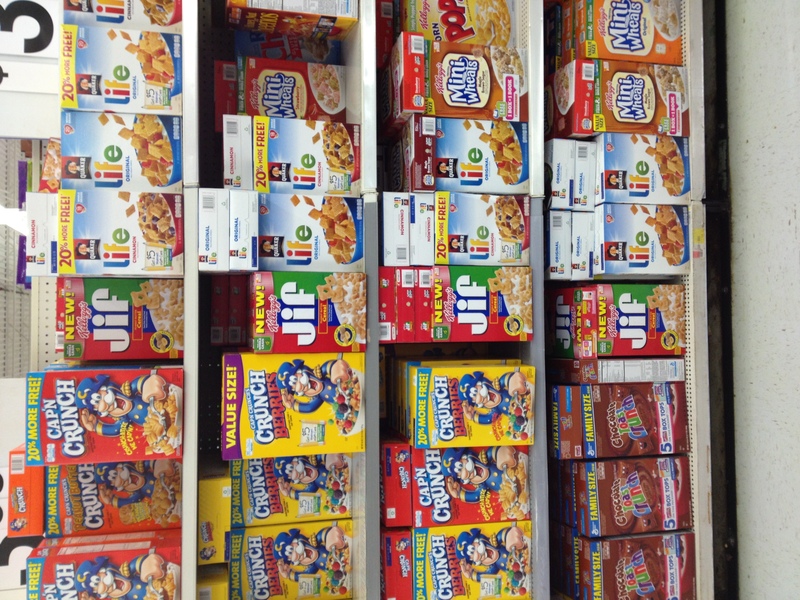 JIF cereal?! Heck yeah! I love eating cereal, any time of the day or night really! Best snack ever! Anytime our family gets together we ALWAYS play games. Card games, board games, you name it! We play card games too, a lot!! I believe I am going to have to go find myself some peanut butter cereal. That is a food group all unto its on my Food Pyramid. Haha! It is delicious. I love peanut butter too! Gotta get that Vitamin C!! It was a lot of fun! We are blessed that we are able to all get together still! My 2 teenage boys have cereal every night before bed so we get through boxes of the stuff every week. It’s such a great nighttime snack! Love good night snacks & family traditions! 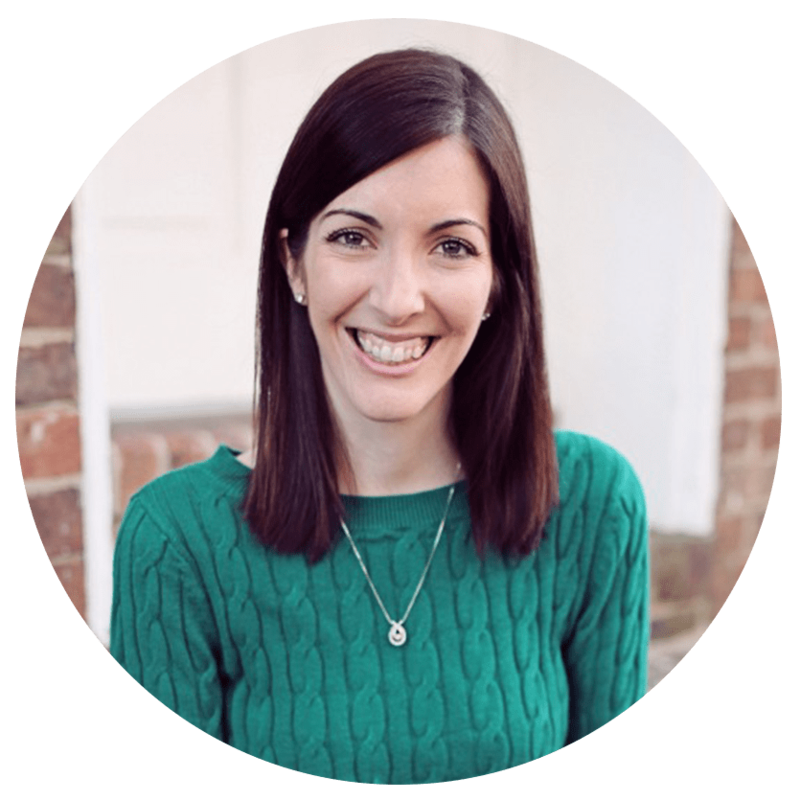 Thank so much for linking up to Wine’d Down Wednesday!